Heat is then applied to the body (carefully via hot air gun or through soaking in warm water), the body is then bent back on itself allowing the gap in the profile to open. This product is in our Factory Finish - a plain extrusion ready to be hand sanded in order to achieve the desired woodgrain effect. To achieve this we recommend using a 40 grit sandpaper. 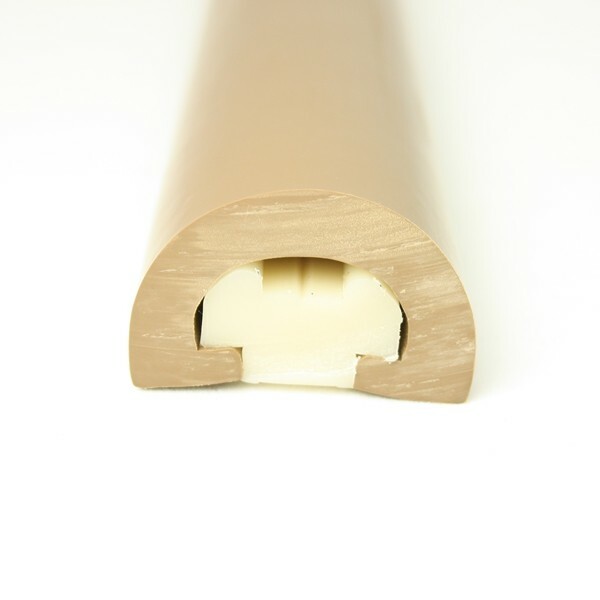 Is it not possible to provide caps which match/blend with the finish of the PVC 2085/6T profile? 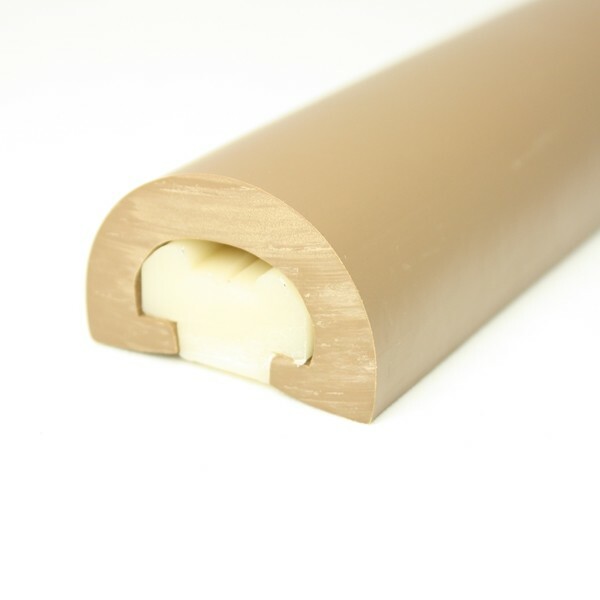 Prior to sanding, this profile is 29mm high which would allow for end caps to be fabricated using traditional woodworking or power tools. Whilst an end piece could be hand fabricated from another traditional profile it would not be cost effective for us to craft and stock. At this time our stainless steel end cap is the only one available for the 2085/6 range but I will pass your comments on to our production team for future consideration. I want to install this down the hull and across the transom.. The transom has only a modest radius at the corner. What is the minimum bend radius that can be achieved in one piece? 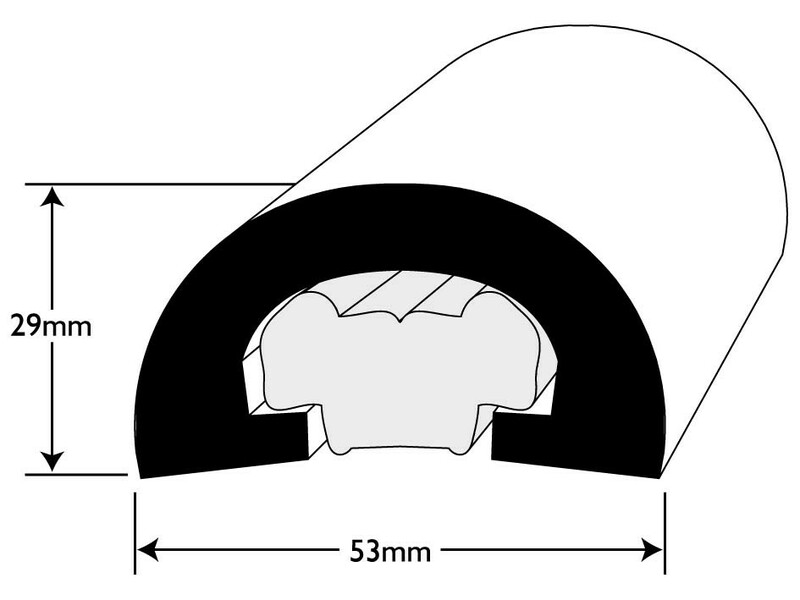 We have achieved fitting around a 42mm radius but required localised heating of the profile using a hot air gun (heated gradually/carefully to avoid damaging the profile). Heating makes the profile easier to manipulate to achieve the desired fit. Slight deformation (ie flattening of face) may occur depending on size of radius and fitting conditions. Please do not hesitate to contact our sales team directly should you wish to talk the process through, we would be happy to assist wherever we can. Can you supply this pre sanded. I am hoping to use this on a 36 foot boat. That would be a lot of hand sanding! 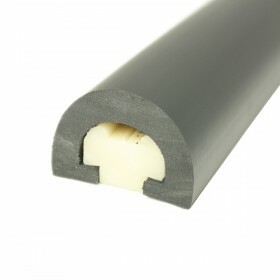 Due to the shape of PVC 2086 the only way for us to supply this profile pre-sanded would be to follow the same route you wish to avoid and hand sand it! You will appreciate that this is pretty labour intensive but it is something that we are able to offer. This service would cost £200+VAT for 30m. Should this be of interest then please contact our sales team who will be happy to assist.